In this month's newsletter we are going to discuss some pending changes to Ohio's deregulated electric and natural gas markets. We hope our readers outside Ohio don't tune out because these are trends that might affect your state as well. We begin with a quick history lesson. Regulation of public utilities by federal and state governing bodies dates back to the 1930s and was instrumental in forming the vast infrastructure we have today. Without the oversight and a guarantee of financial return on investment, we would not have had the money or rules needed to build the reliable systems that now span the continental U.S. Deregulation of the electric and natural gas markets came on the heels of deregulation in the trucking, airline and telephone industries. Those industries underwent drastic changes during periods of expansion and contraction. Today, shipping, airfare and phone rates adjusted-for- inflation, are considerably less than they were in the 1980s and many new products and services exist. In deregulation of the natural gas and electric industries, only the price of the commodity supply has been opened to competition. This means consumers in many states, who are served by investor-owned utilities, are now able to choose who supplies their natural gas and/or electricity. The state did not eliminate regulations on utility distribution systems, whether pipelines or wires. Ohio's Amended Senate Bill 3 opened the electric supply market on Jan. 1, 2001 with the expectation that a competitive market would have formed by the end the Market Development Period on December. 31, 2005. Lawmakers envisioned outside "merchant" power companies - unregulated companies - competing with the regulated utilities in 2006 and all rates driven by market forces. After an initial flurry of activity, driven by subsidies designed to jumpstart competition, customer switching quickly stalled and it was obvious that we weren't ready to fully deregulate the market. In 2005 each of Ohio's utilities negotiated with the Public Utilities Commission of Ohio a Rate Stabilization Plan that would give more time for a competitive market to develop. The plans extended capped rates through 2008 for FirstEnergy, American Electric Power and Duke Energy and through 2010 for Dayton Power & Light. During this time utilities have been collecting hefty Transition Charges and now Rate Stabilization Charges from their customers. These charges were designed to accelerate the utilities' return on generation investments, primarily power plants, which under a regulated environment would have been paid for over decades. Now that the deregulation experiment appears to have failed, many argue for a return to regulation. Whether or not that is a wise move for Ohioans is being debated. If the outcome is to return to price regulation, it won't be a simple matter. Utilities have already collected transition charges and FirstEnergy sold off generating assets with the expectation that Ohio S.B. 3 would be complied with and we would have an open market starting in 2006. As we rapidly approach the end of the Rate Stabilization Period, Ohio's Electric Market remains non-competitive and major announcements should be coming soon. New Governor, Ted Strickland, has proposed an Electric Security Plan known as "Energy, Jobs and Progress." His plan looks very similar to the old days of a regulated monopoly whereby the utilities would negotiate with the PUCO instead of trying to base its rates on wholesale market prices. The PUCO would set Ohio rates by determining what it actually cost utilities to generate the power, including the value of power plants and a rate of return. The plan has met fierce opposition from lobbyist hired by FirstEnergy and has already been modified in many areas. It is also interesting to note that the large industrial companies who were the driving force behind electric deregulation a decade ago, are no longer supporting the experiment. Many manufactures that were able to negotiate discounts with their utility company, now insist that those discounts should be kept indefinitely or Ohio's manufacturers won't be able to compete. What will happen in 2009 remains to be seen, but expect higher prices for generation service. The rate caps that are in place now are set to expire. In our opinion, it is unlikely that rates will be set by the wholesale electric markets - as they are in a true deregulated market. Governor Strickland thinks that would lead to sticker shock and create a political nightmare as experienced in Illinois and Maryland where rates jumped as much as 70% when the caps were lifted. Independent Energy Consultants continues to believe we will see a compromise solution and an extension of the status quo. Wholesale markets will be tested via an auction and it will result in prices higher than our politicians are willing to allow. 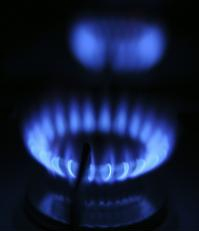 The utility rates will then be allowed to rise, but not as high as the auction results. Since the auction results represent the true cost of competition, deregulated marketers will not be able to compete and customer switching will remain non-existent in most if not all of the state. The door will remain open for competition, but don't expect a rush through it. In Ohio, consumers served by American Electric Power have the lowest rates now and could see the biggest jump. FirstEnergy customers are already paying rates 20 to 50 percent higher than in other parts of Ohio and should experience smaller increases. If wholesale prices are permitted to be charged by the local utilities, we would quickly see a re- emergence of deregulated marketers and supply offers. Independent Energy Consultants would immediately contact its Governmental Aggregation clients and commercial and Industrial clients with advice and assistance. Note: The natural gas industry in Ohio is very active and customers are free to choose a supplier other than their local utility (Dominion East Ohio, Columbia Gas of Ohio, Duke Energy and Vectren Energy Delivery of Ohio). Utility companies continue to deliver the natural gas, read meters, respond to emergencies, etc., regardless of whether or not you choose a supplier or remain supplied by them. 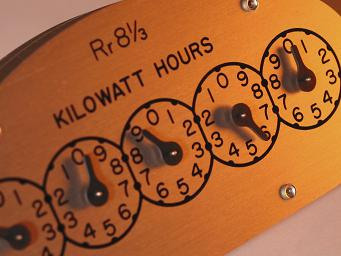 The commodity supply (natural gas or electric) is a pass-through charge for utility companies. They are not permitted to make a profit on the supply portion or your service. Delivering the commodity and earning a return on their capital investments is how utilities make their money. SSO = NYMEX Futures Contract expiration price + $1.44/Mcf. That rate was very attractive and those customers who remained with the utility service the past two years faired much better than those who chose a supplier and agreed to fixed rates offers. A new auction will likely be held this July and take effect with gas flowing September 1, 2008. Based on current market conditions and discussions with our deregulated supplier contacts, everyone expects the auction results to be higher this time around. If the new SSO rate is higher, as expected, consumers should have a better chance of beating the alternative rates from DEO when they choose a supplier on their own or through an Aggregation Program. Columbia Gas of Ohio (COH) - On December 28, 2007, COH filed a joint stipulation and recommendation with the PUCO. A key recommendation in the filing was Columbia's desire to move to an auction process similar to the one used by Dominion East Ohio. If accepted, a monthly variable rate formula would be set based on the results of a competitive auction. This would make it easier for COH customers to perform an apples-to- apples comparison of offers provided by deregulated marketers. While the auction would be a welcome change from the current Gas Cost Recovery mechanism, it isn't like to occur before 2010. In April 2005, following the discovery of natural gas leaks, the PUCO opened an investigation and ordered lab testing on a faulty piece of equipment known as a natural gas riser. These risers connect a customer's natural gas service line to their natural gas meter. In July 2007, the PUCO approved a proposal from Columbia Gas of Ohio that, among other things, would allow the company to replace risers categorized as prone to failure, regardless of whether or not they are actually leaking. Any customer who has already replaced a prone-to-failure riser may apply for reimbursement from Columbia.